"" Read more : http://www.ehow.com/how_8339780_put-emoticons-blogger.html WillowRaven Illustration & Design Plus: I am a Featured Artist in the SCBWI Midsouth's Spring 2011 issue of BorderLines!!! I am a Featured Artist in the SCBWI Midsouth's Spring 2011 issue of BorderLines!!! 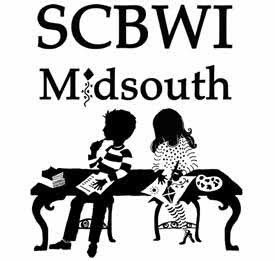 BorderLines is the quarterly newsletter for the entire SCBWI's Midsouth region. A few months back, I submitted some samples of my work, having read on our yahoo group, that submissions were wanted for the next bulletin. I was so pleased, when the response to my submission was welcomed so warmly. I was asked to submit more info on a few of the pieces, when I had time. Wouldn't you know it, I lost the email, along with the person's name, therefore, not being able to reply to the request for details. I then of course got caught up in work, and time to find out who I needed to contact, got away from me. Then today, I am lurking on the listserve, and I see where the new bulletin is out, and that it's as awesome as ever, that all of the featured artists' illustrations looked so great (and of course, the writing was awesome, too). So, out of pure curiosity, to see what everyone was raving about, I downloaded a copy of BorderLines. And there, my 'Mother of the Frontier' piece, my representation of Sacajawea, from State of Wilderness by Elysabeth Eldering, was on page two. And my Learned Leopard was on page 12 (which is the prototype character for another book in the works, by Vivian Zabel). It was HUGE, it took up the entire width of the page. I was so surprised and tickled (and very honored). You guys really should check out this BorderLines, whether you're from the SCBWI Midsouth chapter, or not. Wisdom is wisdom, and inspiration is inspiration, no matter where you happen to live. Plus, now, I know who to reach about submitting my info for September's issue (hopefully) ... , lol. You deserve the exposure. I'm sure we'll see much more of your work in this newsletter and others. Of course the number of books with your illustrations is growing all the time. It took me three years, working as a pro, before I actually managed to join SCBWI. But I just knew I had to. There are just so many more opportunities for illustrators who are recognized as pros through SCBWI. They aid in artists' validation. And justly so. Some I've the artist I've seen in my group are absolutely amazing. I am so honored to be one of the crowd, when it comes to THIS crowd. Just saw some of your work in the Borderlines Newsletter. That's great! We live life on levels and we arrive in stages. Keep moving up, you're a winner! I should submit a few 'Shifty Characters' illos next time, huh, Shirley?